The holiday season is in full swing and with Christmas now behind us, we all have an opportunity to take a few days to relax and enjoy some quality time with our friends and family. This season brings about many gatherings and as New Year’s Eve approaches I would like to remind everyone to please plan ahead for a safe ride home while enjoying the holiday festivities. Ensuring our roads are safe is just one of Halton’s commitments to community safety. Halton is the safest place to live in the GTA and the safest municipality in Canada, yet impaired driving remains Canada’s number one criminal cause of death. Working together, we can help stop impaired driving. To help residents plan ahead for a safe ride home while enjoying the holiday festivities, Halton Region, in partnership with the Halton Regional Police Service, developed Halton-specific webpages at www.halton.ca/impaired. These pages provide drivers with the information they need to plan for a safe ride home, report suspected impaired drivers, inform teens about impaired driving and more. There is also an impactful video testimony that shows the devastating effects drinking and driving recently had on one Halton family. Road safety is a top priority for Halton Regional Council. We want Halton drivers to feel safe on our roads. By partnering with the Halton Regional Police Service and Halton motorists, we’re working together to make sure this holiday season is a safe one for everyone. We need to work together. Having your eyes on the road is key to help keep impaired drivers off of them. Through the Halton Drive SAFE program and its Safe Roads… Your Call campaign, you’ll see signs throughout the Region reminding you to call 911 if you see a suspected impaired driver on the roads. Your call could save someone’s life. In addition, if you witness dangerous drivers, you can report them through the Road Watch Program. This is a community driven program encouraging anonymous reporting of incidents involving dangerous and/or aggressive driving. Reports can be made by completing an online form at www.haltonroadwatch.ca. This holiday season, help us keep our roads safe while ensuring that Halton remains a great place to live, work, raise a family and retire as we move into 2014. As a new school year begins, it’s important to remember to share the road while travelling. The roads and neighbourhoods will be busier with children walking, biking and taking the bus to and from school. Our exemplary police force will be out helping remind drivers to drive safely around schools, but road safety is a responsibility of every driver. Every day, thousands of vehicles drive on Regional roads. While Halton Region was once again rated as the Safest Canadian Municipality in Canada, residents have told us that transportation and road safety issues are always top of mind issues and we take our commitment to keep our roads safe a priority. This year Halton installed five new red light cameras across the Region. These cameras, that capture photo evidence of anyone entering an intersection after the light has turned red, help remind people of the dangers associated with driving carelessly and running red lights. Last year, we surveyed drivers in the City of Burlington, the Town of Halton Hills, the Town of Milton and the Town of Oakville and found that half of Halton drivers worry about getting into an accident when driving through an intersection and more than 60% reported seeing a near-miss accident as a result of someone running a red light. The same survey found that 72% of Halton Region drivers are very concerned about drivers running red lights. With our busy schedules about to get even busier with the new school year upon us, it’s critical to remember to watch our speed while driving. Speed limits are in place for a reason and a lot of science has gone into determining the appropriate speed limit for every road in Halton. 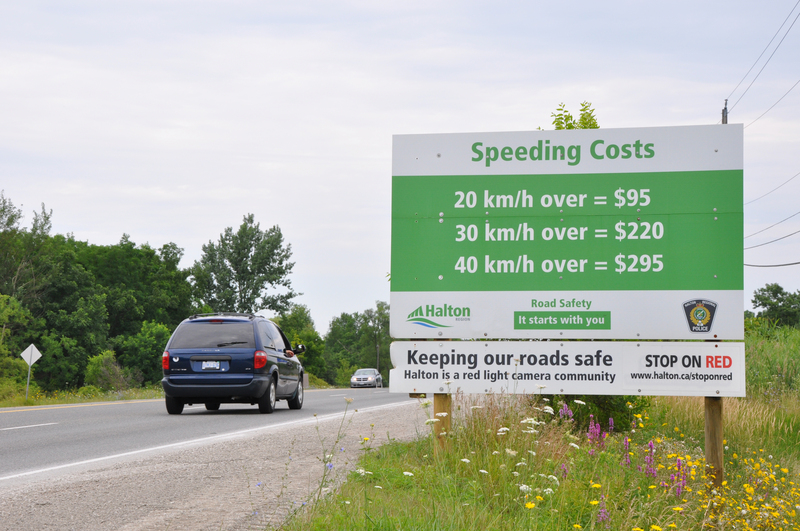 The costs of speeding can be so much more than a fine or demerit points – it could cost a life. 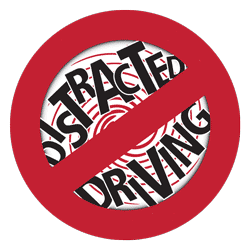 This year, Halton Region and the Halton Regional Police Service are teaming up to help put a stop to distracted driving. When you have kids in the car, it’s all too easy to focus on parenting and not on the road ahead. Whether you have kids fighting in the back seat, a phone ringing or you’re so hungry you want to save time by eating while you drive, remember that when you’re driving, your hands should be on the wheel and your eyes on the road. As the school year kicks off, take the pledge against distracted driving and commit to not texting, talking on the phone or eating while driving. Our Police partners have an excellent program called Halton Road Watch. 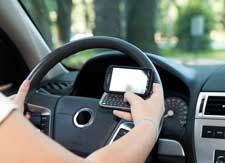 If you see dangerous or aggressive driving, you can report it by filling out an online form at www.haltonroadwatch.ca. Police will review the report and may send a letter to the registered owner of the vehicle reminding everyone who drives that vehicle to drive safely. If you have a passenger, ask for their help in writing down license plate numbers so you can file a report and help keep our roads safe. Through our Drive SAFE (Safety Awareness for Everyone) program, we’ll continue to improve safety on our roads. Working together we can make sure Halton remains a great place to live, work, raise a family and retire. For more information on safe communities, visit my video. With the beautiful summer weather and the fun of long weekends and vacations, it’s important that we work together to ensure everyone has a safe summer on our roads. Halton Region has been named the safest municipality in Canada for the fifth year in a row. This is partially due to the great work of our police officers, but also due in large part to the vested interest residents have in ensuring one another’s well-being. As part of Halton Region’s ongoing partnership with the Halton Regional Police Service, Halton has the Safe Roads… Your Call program to educate drivers about the dangers of drinking and driving. This program encourages motorists to help police by calling 9-1-1 immediately when they witness a suspected impaired driver on Halton roads. Once 9-1-1 operators receive a call from the public, it is assigned high priority and all available police resources are used to locate the suspected vehicle. Motorists reporting a suspected impaired driver in progress should have a description of the vehicle, the nearest intersection where the suspect was witnessed, direction the vehicle was headed, and if possible, a license plate number. We want everyone to stay safe on our roads, so only report what you can safely observe. Impaired driving is a crime in progress and as extra eyes on our roadways, Halton residents play an instrumental role in enhancing road safety and assisting police in keeping impaired drivers off our roads. Last year, we partnered with our police service and a brave mom to help convey the heartbreak impaired driving can have on families. I encourage you to take a minute and watch a powerful video that could change the way you think about even having one drink and getting behind the wheel. Have you ever seen a driver who seems to be breaking all the rules and wondered what you could do about it? You can report it! If you see a driver demonstrating unsafe driver behaviour, you can submit a Citizen Report Form through the Halton Community Road Watch program. The police will send an information letter to the registered owner of the v ehicle explaining that their vehicle was observed being operated in an unsafe manner at a specific time and location and asks them to drive safely. We want to make sure that Halton continues to be the safest Region in the country and we’ve recently expanded our red light camera program and brought back our Vehicle Activated Traffic Calming signs to help remind drivers to both slow down and stop at red lights. Another useful tool that reminds driver to obey the law when driving is our expanded red light camera program. By the end of this summer, there will be seven red light cameras across the Region to remind drivers to stop at red lights and improve intersection safety. Other municipalities participating in this program have seen a reduction of more than 25 per cent in deaths and personal injuries and I’m proud to be able to help police keep our roads safe through this initiative. 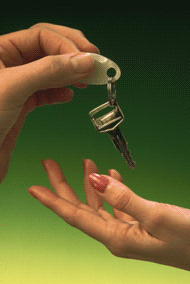 Driving sober and following the rules of the road are things everyone can do year all year round. Working together, we can help keep our roads safe and make sure Halton stays a great place to live, work, raise a family and retire. Every day, our paramedics are on the road responding to calls. They respond to over 50,000 calls each year and they do an outstanding job with their dedication and hard work. During Paramedic Week (May 19-25) and beyond, don’t forget to slow down, signal, move to the right and pull over when you see the flashing lights of an ambulance or any other emergency vehicle. Moving over and slowing down is so simple and it can play such a big factor in someone’s life. Paramedics are in important and valued part of our health care system and community. They are part of the reason why Halton Region is a great place to live, work, raise a family and retire. The following sections of the Ontario Highway Traffic Act apply to all emergency services. 1. When you see an emergency vehicle approaching with its lights on, slow down and move to the right as soon as it’s safe. In an emergency situation, seconds could mean the difference between life and death so a clear, unblocked lane to the patient’s location is important. 2. When you approach an accident with emergency responders on scene, slow down and safely move away from the accident. By moving away from an accident scene, we are ensuring paramedic and other emergency responders’ road-side safety and allowing them to focus on the medical needs of the patients. Failure to comply with either of these laws could cost you significant fines and demerit points. Worse than that, failure to comply could have a negative effect on someone’s life. The theme of this year’s Paramedic Week is “Health Care in Motion”. Let’s keep them safely in motion! For more information about Halton Region Paramedic Services, dial 311 or visit www.halton.ca/paramedic. If it’s an emergency, always dial 911.